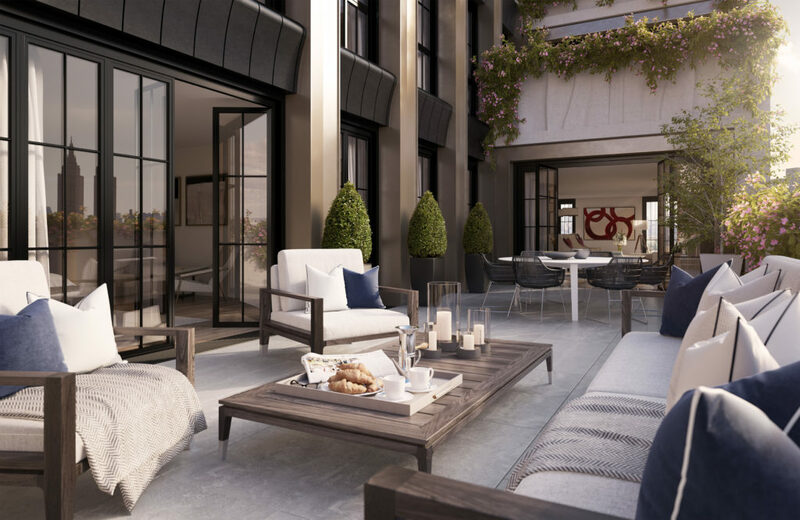 Alexa Lambert at Stribling is listing one of only three remaining units at 221 West 77th Street for $7,250,000. Located on the 12th floor, the four bedroom (or three and library) has a Smallbone of Devizes kitchen with pocket doors and a separate bedroom wing with a master suite. There are solid white oak-plank floors, a Juliet balcony and private elevator. The building has 26 residences across 18 floors. A series of stepped terraces cascade down the top floors, creating outdoor spaces. Amenities include a basketball court; fitness center and roof deck.